According to an article in the Sacramento Bee, “Californians would not be able to smoke tobacco inside their own homes under new legislation that would raise the bar nationwide for fighting secondhand smoke. No state ever has ventured into personal bedrooms and living rooms with its smoking restrictions, but California is going even further than that by targeting owner-occupied residences as well as rental units. “Californians should be able to breathe clean air in their own homes,” said Assemblyman Marc Levine, a San Rafael Democrat who introduced the legislation, Assembly Bill 746. Levine is looking to eliminate the health hazards of secondhand smoke in residences that share walls, ceilings, floors or ventilation systems. Violations would be an infraction, punishable by a fine of up to $100. Various cities and counties have passed similar measures. But one issue that needs to be addressed is enforcement; AB 746 does not identify who would respond to complaints or write tickets. This is an issue that will need further consideration. “We hope this is self-enforcing, but it’s a code enforcement issue where it’s an infraction or a fine, (so) it’s really for local jurisdictions to figure out,” Levine said. 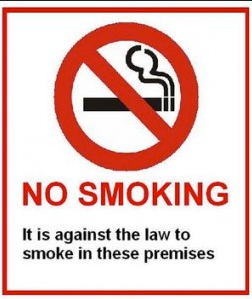 AB 746 would permit outdoor smoking near apartments or condos, but only in a clearly marked area that is at least 20 feet from any housing unit and 100 feet from a playground, school or pool. Presumably, the condominium association, through the board, would choose a site. AB 746 is specific to tobacco products and would not affect marijuana smoking. This is unfortunate, as we are seeing a significant increase in the number of nuisance complaints related to the smoking of medical marijuana.